Abou Abdallah Mohammed Ibn Abdallah Ibn Mohammed Ibn Ibrahim Ibn Mohamme Ibn Ibrahim Ibn Youssef Alaouati Attangi - known as Ibn Battuta for short, was born in 1304 in the town of Tangier. By 1368, the year he died, he had become perhaps the greatest of the great medieval writer-travellers - perhaps even the greatest of them all. 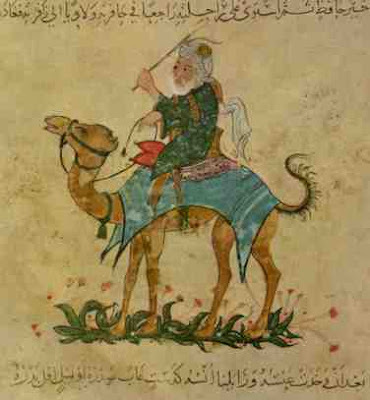 He began his wanderlust in 1325 when he left his home town on a pilgrimage to Mecca, eventually travelling through the whole of North Africa, Egypt, Palestine and Syria and then East Africa and the Persian Gulf. 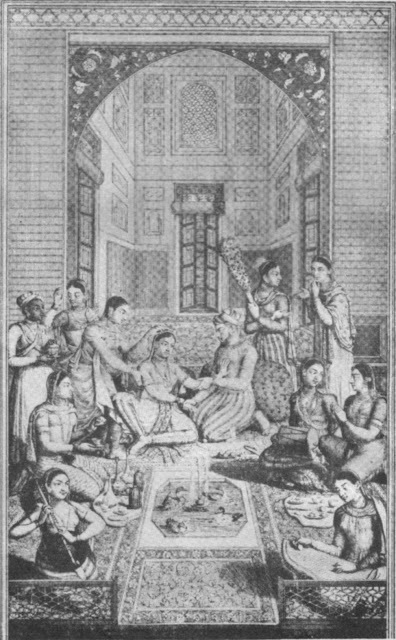 There were also lengthy side trips to Turkey, Persia and Iraq, and he even made it to India, China, Ceylon and Malaysia. By the time he returned home in 1349 he had been away for 24 years. His mother had died of the plague a few months earlier, and his father had died years before. Three years later he was off again. He crossed the Straits of Gibraltar to have a look at the Kingdom of Granada, the last Muslim kingdom left in Spain and which the Christians had been trying to retake for several hundred years. It was at the start of this trip that Ibn Battuta came to Gibraltar. Shortly after returning back home from this trip, the Sultan of Morocco, Abu Inan Faris appointed one of his court secretaries, Ibn Juzaay, to have Ibn Battuta dictate his reminiscences to him. The result was published as a travel journal with the formal title of A Gift to the Observers Concerning the Curiosities of the Cities and the Marvels Encountered in Travels. It is known for short as the Rihla. The quotes shown below - the only ones which refer to Gibraltar, are taken from a translation by the Scottish scholar Hamilton Alexander Rosskeen Gibb. Tangier - I arrived at my home town of Tangier and visited her and went to the town of Sabta 1 where I stayed for some months. While I was there I suffered from an illness for three months, but afterwards God restored me to health. I then proposed to take part in a Jihad and the defence of the frontier so I crossed the sea from Ceuta in a barque belonging to the people of Asilá 2 and reached the land of Andalucía - may God Almighty guard her! - where the reward of the traveller is abundant and a recompense is laid up for the settler and visitor. Adfúnus 3 - There was after the death of the Christian tyrant Adfúnus and his ten months siege of the Jebel 4 when he thought that he would capture all that the Muslims still retain of Andalucía; but God took him where he did not reckon, and he, who of all men stood in the most mortal terror of the plaque, died of it. Tariq Ibn Ziyad "The Mountain of conquest is the citadel of Islam, an obstruction stuck in the throats of the idolaters. From it began the great conquest 7 and at it disembarked Tariq Ibn Ziyad, 8 the freedman of Musa Ibn Nusayr, 9 when he crossed. Abu Inán - Later on our master, the Commander of the faithful, Abu Inan (May God strengthen him) again took in hand its fortifications and embellishments and strengthened the walls of the extremity of the mount, which is the most formidable and useful of its walls. He also sent thither, large quantities of munitions, foodstuffs and provisions of all kinds, and thereby acquainted himself of his duty to God Most High with singleness of purpose and sincere devotion. Model of the Rock - His concern for the affairs of the Jebel reached such lengths that he gave orders for the construction of a model of it 14 , on which he had represented models of its walls, towers, citadel, gates, arsenal, mosques, munition-stores and corn-granaries, together with the shape of the Gebel itself and the adjacent red mound. This model was executed in the palace precincts15; it was a marvellous liking and a piece of fine craftsmanship. Anyone who has seen the jebel and then sees this copy will recognise its merits. This was due solely to his eagerness (may God strengthen him) to learn how matters stood there, and his anxiety to strengthen its defences and equipment. May God most high grant victory to Islam in the Western Peninsula16 at his hands and bring to pass his hope of conquering the lands of the infidels and breaking the strength of the adorers of the cross. To resume the narrative . . . . I went out of Gibraltar to the town of Ronda . . . .
2. Translated as Arzila by Gibb but possibly Ashila, a town just south of Tangier. 6. Ibn Juzayy was a Moorish scholar and writer of poetry, history and law. He was from al-Andalus and is perhaps best known in the west as the man who wrote down the travels of Ibn Battuta, hopefully as dictated by him. The fact that he quotes himself in the above passage is unusual. 7. The start of the conquest of the Iberian peninsula by the Umayyad Caliphate. 9. Musa Ibn Nusayr was the governor of the North African provinces of the Umayyad Caliphate and was responsible for sending Tariq ibn Ziyad on his way to the conquest of Spain. See above. He is often referred to colloquially as el 'Moro Musa' and in Gibraltar his name was often used to threaten children who were behaving badly with his imminent arrival. 11. Possibly that undertaken in 1333 by Abu'l Hassan's general Abu-Amram or possibly by Hassan himself - in which both Algeciras and Gibraltar were taken by the Moors after its third siege. The fourth siege led by the rather unlucky Alfonso XI failed to dislodge them. 12a. 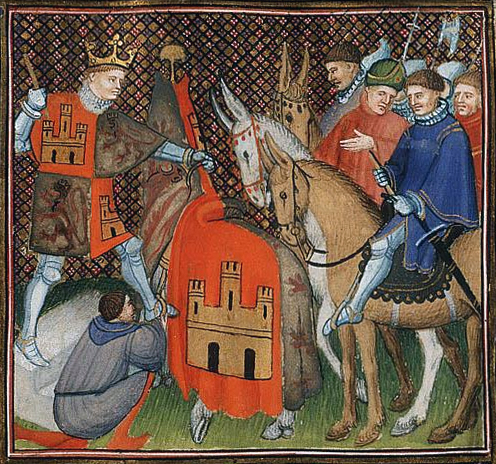 Ferdinand IV of Castile captured the Rock in 1309 after its first siege and held on to it until Abu'l Hassan got it back for the Moors after the third one. The second one was a failed attempt by the Merinid forces in 1315. 13a. The 'great wall' refers to the defences built by Abu-l-hasan that ran right round the eastern sea line from edge of the northern Barcina area of the main town to an unknown tileyard situated at Europa point. The red mound refers to the entire area that lie south of today's Charles V wall which in those days consisted mainly of red sand. The foundations of the town of Gibraltar itself are also built on red sand so the 'mound' may have also included a large part of la Turba as that part of town was probably did not reach as far south as it does nowadays.